Profile: Anna Bennett defines her personal mission as sowing the seeds of peace through communication. In fact, her interest in Esperanto grew from this interest in contributing to peaceful relations between peoples. A number of years ago she attended a peace conference in Caux, Switzerland. Related to this mission of peace is her interest in Nonviolent Communication, as developed by Marshall Rosenberg. Anna graduated with a degree in Business Administration and Masters Degree in Accountancy. In the mid-70s she attended the SGPiS (Szkoła Główna Planowania i Statystyki) in Warsaw, Poland on a joint Fulbright-Hays/Polish Government grant. Upon returning to the U.S., she worked for a number of years, as a CPA, first as a Cost Accountant and later in her own tax preparation business. Anna's interest in education began with tutoring math and reading at her children's school. She received training to act as a Junior Great Books discussion leader and later on she tutored adults learning to read under the P.L.U.S. Program. She also tutored adults learning to read English with the local refugee program. Having decided to volunteer for Habitat for Humanity, she was asked to organize and manage a Volunteers Coordination Committee in the growing local HfH organization. She established the financial record-keeping system for a local not-for-profit organization and prepared the financial statements and annual budgets for a few years and was Treasurer for a local square dance club. 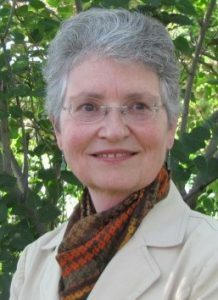 Anna served several years as Treasurer of Esperanto-USA and she continues as a member of its Investment Committee. Anna resides in Boise, Idaho with her husband, Larry. Profilo: Anna Bennett difinas sian personan mision kiel “planti semojn de paco per komunikado”. Fakte, ŝia intereso pri Esperanto kreskis el tiu ĉi intereso pri kontribuo al pacaj rilatoj inter la popoloj. Tial, antaŭ longa tempo ŝi partoprenis pac-konferencon en Caux, Svisio. Rilata al tiu ĉi pac-misio estas ankaŭ ŝia intereso pri neperforta komunikado evoluigita de Marshall Rosenberg. Anna diplomiĝis pri komerca administrado kaj havas magistran diplomon pri kontado. En la mezaj 70-aj jaroj ŝi studis en la universitato SGPiS (Szkoła Główna Planowania i Statystyki) en Varsovio, Pollando, ricevinte stipendion financatan de la usona programo Fulbright-Hays kaj de la pola registaro. Post sia reveno al Usono Anna laboris plurajn jarojn kiel diplomita publika kontisto (CPA), unue kiel kost-kontisto, kaj poste en sia propra impost-prepara oficejo. La intereso de Anna pri edukado elkreskis pro ŝia help-instruado pri matematiko kaj legado en la lernejo de ŝiaj infanoj. Poste ŝi estis trejnita kiel gvidanto de diskut-grupoj por gejunuloj, instruis legi al plenkreskuloj kadre de la programo P.L.U.S., kaj ankaŭ instruis legi angle kadre de loka rifuĝeja programo. Krome, Anna ankaŭ volontulis por Habitat for Humanity – neprofitcela organizo konstruanta loĝejojn por homoj kiuj nesufiĉe gajnas monon por aĉeti propran – kaj estis petita organizi kaj mastrumi Volontul-Kunordigan Komitaton en ties kreskanta loka oficejo. Krome, Anna starigis financan librotenan sistemon por loka neprofitcela organizo kaj kelkajn jarojn preparadis financajn dokumentojn kaj buĝetojn, kaj estis kasisto de loka klubo de "square dance" (kvadrat-dancado). Anna servis kelkajn jarojn kiel kasisto de Esperanto-USA, kie ŝi daŭre aktivas kiel membro de la Investa Komitato. Anna loĝas en Boise, Idaho, kun sia edzo Larry.